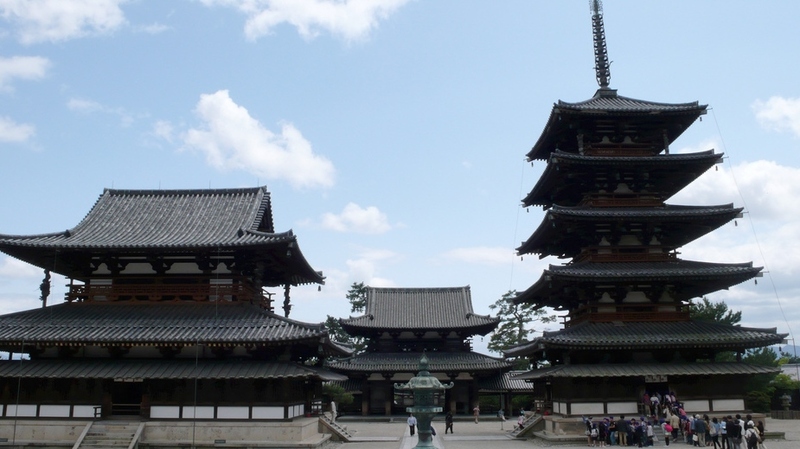 Horyu-ji, the world’s oldest wooden construction, was founded in 607 by Prince Shotoku, who is credited with the early promotion of Buddhism in Japan. It tells you how 6th and 7th century temples would have looked. The temple’s grounds are spacious and divided into the Western Precinct (Sai-in Garan Temple), the five-story pagoda and the main hall, and the Eastern Precinct (To-in Garan Temple), centering on the octagonally-shaped Yumedono Temple which is dedicated to Prince Shotoku and houses a life-sized statue of the prince surrounded by statues of Buddha and various monks. Outstanding buildings from every era, including ancient ones from the 6th and 7th centuries, line up in grounds and there are many treasures approximately 2,300 items in 190 categories which have been designated National Treasures or Important Cultural Properties. The Temple was the first property in Japan to be registered as a World Heritage site in 1993. Access : 20-minute walk from Horyuji station on the JR Yamatoji Line or short bus ride from Horyuji station by bus No.72 to the Horyujimon-mae bus stop.